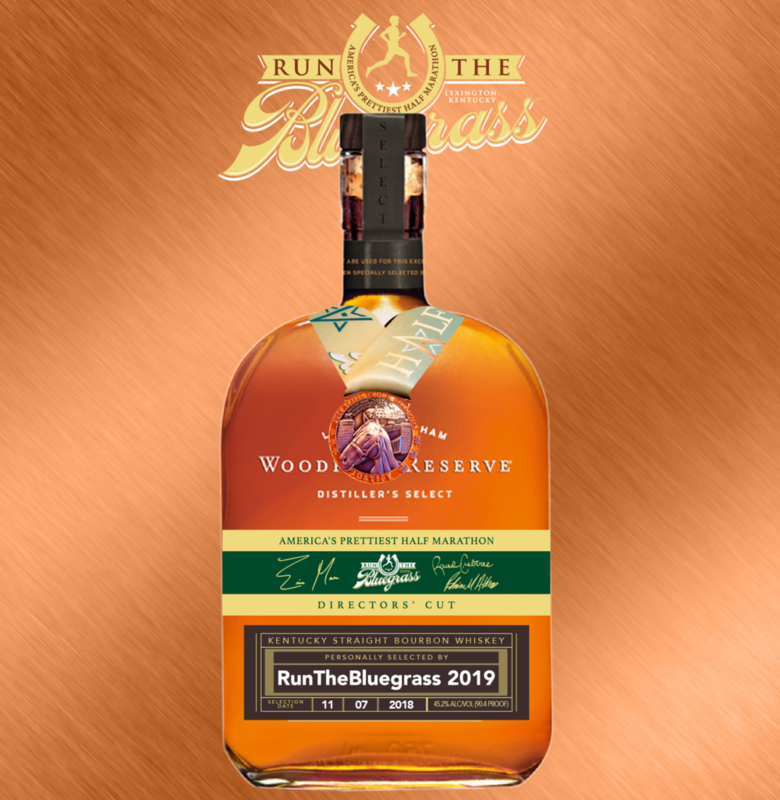 In 2019, we are honoring Triple Crown Champion Justify as well as Boston Marathon Champion Des Linden with three different varieties of Limited Edition Woodford Reserve Kentucky Bourbon, plus a beautiful, optional, genuine oak display case! Only 170 bottles of Team Des are available, 170 of Team RTB Directors’ Cut, and 230 of the Double Oaked Single Barrel. Our special edition bottles will be auctioned at our 2019 Race Expo, March 28-29 at Keeneland. 2019’s Woodford Reserve Double Oaked Single Barrel, honoring Justify. Aged eleven months longer in a second, lightly toasted oak barrel, the extra layers of caramel and vanilla notes wow your tastebuds! Very soft. You’ll pick up banana notes with hints of fig, apple pie & baking spices, including chocolate. Sweet & smooth with nutty, caramel and dried fruit notes, along with citrus, brown sugar, creamy honey and a light spice. Made locally here in Central Kentucky, laser-etched with our RunTheBluegrass logo and Woodford Reserve’s. Specially fits our 1L commemorative bottles. $50+tax at Expo. Des Linden, 2018’s Boston Marathon Champion and known Bourbon Connoisseur, or RunTheBluegrass?!?!? You get to decide which one you like best!